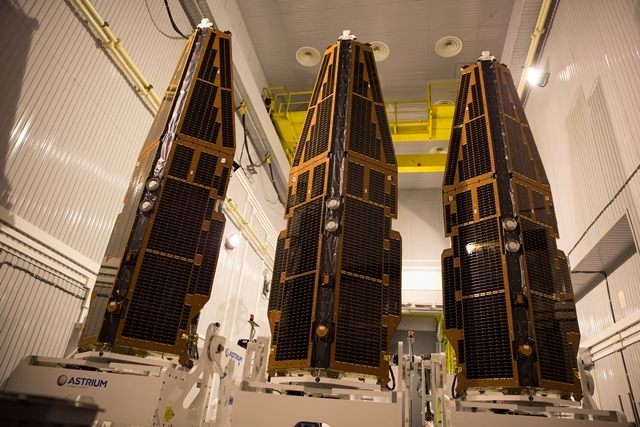 All three Swarm satellites in vertical positions, ready to join the launch adapter. The constellation is being prepared for launch in Plesetsk, Russia. The launch of Swarm has been postponed by about a week. 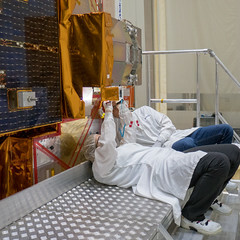 The announcement from the mission’s launch service provider, Eurockot, follows the decision to replace a unit in the Breeze upper stage of the Rockot launcher.